I loved the encouragement we received tonite. The primary message is that not only do we have the way to eternal life… But all the world acknowledges that Christianity is the way to a better life as well. If u get to find creative ways to share that truth every day… Like I do… We r blessed! topsy turvy and a lesson to go along with it. so, i got the privelege of directing the talent show at my kids’ school. to be completely honest with you… i offered (after we got a flyer that came home, and a phone call to my friend who knows about such things) because i wanted to find out who the artistic and dramatic people were in the new school my kids attend. I wanted to find people to come to our company of heARTists actors workshops… kids and parents. but then, along the way i will admit i’ve at times had a bad attitude. the rehearsals were very inconvenient timing wise, but honestly everytime i would get to one… i was then glad to be there. you know what happens when you serve somewhere? you meet the other serving people. you know what serving people are? obedient people. you know what obedient people are? peaceful. yes. i love that. i loved it. i loved hanging out with the other women and connecting. i really loved hanging out with kids and speaking truth and encouragement into them. if you tell them often enough that they are honoring each other when they listen to each toher… i have to presume that at some point they will see that perspective. i was sooooo proud. 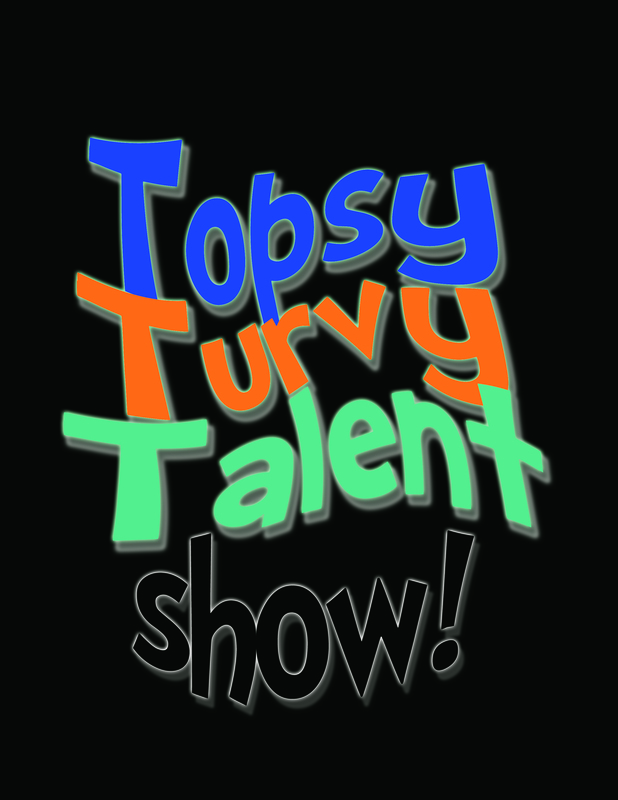 first of all the bravery it takes to even try out for a talent show is ridiculous. then … the courage to stand up in front of family and friends, lights in your eyes, sweaty microphone in your hand, that metallic taste on your bottom lip because you’re suposed to keep it close…. i can taste it! these kids rocked it. were they awesome – some of them? were they poised – some of them? were they heading on to bigger and better things? – a couple of them. were they nervous and open to encouragement like never before? – all of them. was it a privelege to have time with these kids? ABSOLUTELY. you know now when i see them, we will have a history together. we have a memory we can share. we have a bridge. a place to cross. i loved when i saw another mom bow her head and pray with one of the kids that was having stage fright. my thoughts are scattered because its a grateful day. -grateful that i got to see kavi and blaikie perform to BUBBLY. ha. our car broke down 2 hours from home at midnight-ish on a saturday night. bummer. and CLOSE enough to home that one of our awesome friends, darren shipley, came and picked us up. but it DID NOT BLOW UP… so that is great. and did i mention that this was following a 6 day surprise trip to disney world? we just spent 4 days in the most magical place on earth… who are we to find things to complain about? i was reminded while i was praying today that God is aware of all of our needs. we had food. we had shelter. we had care. and he meets our needs, as he has promised to be provider. we dont have our car back, but it’ll be interesting to see how that works out as well. i received a text from my intern, Thomas Bain, that said this: “everything is going super well!!! almost overstaffed.. God provides!” (side bar – if you have ever served in childrens ministry you will appreciate the miraculous nature of the word over staffed). then these from my colleague, Jason Underhill, “last night was the best saturday night we’ve ever had!” and then “It’s really good, best stuff I’ve seen in a long time.” (referring to the hillsong curriculum for large and small group, and our additions of live drama). so… the silver lining is this: God doesnt need me to make treehouse happen, but he allows me to be used to make treehouse happen. it is my honor and privilege to find ways to enage the kids and families of sumner county in the stuff God is doing in treehouse at Long Hollow. oh and by DIS-SED… i mean we got to go to DIS-ney world. the best place on earth. the day i told my kid her salvation wasn’t real. so. wow. tonite was intense. we were talking about heaven, and jesus, and blaikie said she had asked him into her heart. now, i’ve heard her say this before, but kind of dismissed the circumstances, and essentially blew it off… wanting to wait a little longer to determine comprehension. but this time, i said, can you tell me the story of when this happened? (i knew the story, but i kind of thought she didnt get it, so i wasnt sure it was legit.) she said, i cant remember. prepare for a non-shining parent moment: i said, well, then it wasnt real. she said it happened in her sisters room on christmas the previous year. she asked them how to get jesus in her heart, they told her, she did it, end of story. i said, awesome, do you want to get baptized. she said yes. i said, in treehouse in the kid baptismal? or in big church. to my surprise she opted for big church. then i suggested that she write it down, and i would give it to him for her… this piece to the right is what she wrote. i could not be more thrilled! or more convinced that she knew exactly what she was doing christmas day, 2009.
pretty much a BIG deal. i got to have a creative meeting last night with some of my team. 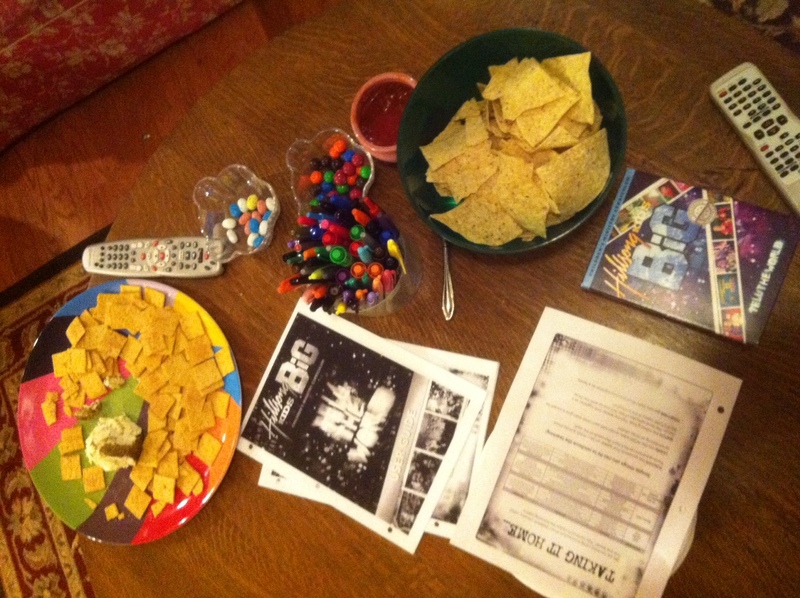 i was presenting new curriculum for our upcoming 12 weeks… it’s called the BIG curriculum… and i’m stoked. i’ve been producing, writing, designing, creating curriculum for years now. i love that. i love to write original content. i love creative meetings to talk about writing. i love the whole process. my job is the same as my hobby, so it works. i got to share the music we would introduce. they dug it. i got to share the videos we will show. they loved them, i loved them. they are funny. insightful. great. one really cool thing, one of the actors from the series sent us a personal video to use in our services to introduce the new thing. the kids are going to love it. i’ll roll it out to our families next week, but wanted to give you a sneek peak. you might be wondering how i got this awesome creative in australia to make this video for our kids. you know how?! i asked him. people are so much nicer than we expect them to be. there’s a life lesson here – i always like to share what i’m learning when i write… so here it is… ask. and you shall receive. you know who else wants us to ask? yep… i know, sunday school answer “GOD”… but God wants us to ask. what will you ask him for today!? our church is doing a big connection service after church this week after the last worship service. anyway… so instead of babysitting the kids that will be staying for 1 1/2 – 2 hours so their parents can learn everything there is to know about our church… i decided our kids deserved their own “CONNECTION SERVICE”. then i thought… wow. do i really want to spend 90 minutes on saturday night, then from 8am-1:15pm running our regular programming and then tack on a kidz connection service !? the answer is absolutely YES. why would it only be important for adults to be introduced to everything we have to offer, and not the kidz? why would we miss the opportunity to get kidz excited about all we have to offer them? well WE…. do not. WE, Long HOllow Kidz ministry do not want to miss an opportunity to get people stoked about Jesus. EVER. that being said… i hope kidz will enjoy what we have planned and be clammoring for their parents to get involved. on sundays we have TRAILS (small groups), where kidz get up close and personal with the same teachers each week, who share the truth with them through fun, games, and a bible story. 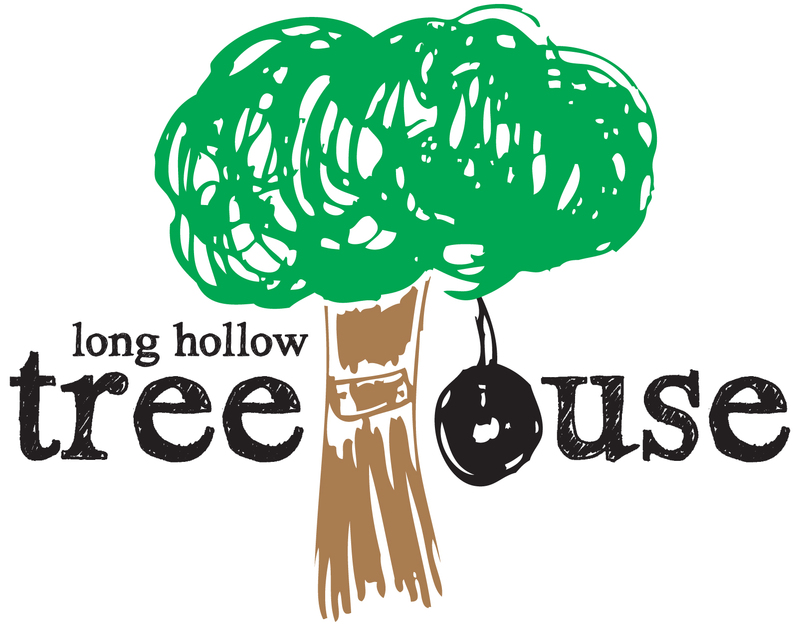 on sundays we have TREEHOUSE, http://www.longhollow.com/children/treehouse, where they get kid flavored worship with praise teams and singers their ages – songs chosen carefully for them each week. they get drama – where actors take the stories of the bible to a life application level, bringing it to life. they get a chance to bring an offering to God. they get videos created especially for them. they get to hang out with other people their age and worship the God of the universe. TREK in TreeHouse is a super-charged mid-week experience to get reconnected with friends from church, and bring friends from school. Kidz worship together, learn together and laugh together… Especially when we bust out the whipped cream for silly games! The experience includes worship with Belmont’s own Ben Eggebrecht, missions emphasis videos, bible stories, messy games and fun with friends. Long Hollow Kidz will review the Main Point and Key Verse from Sunday but hear a new Bible Story. K-2nd graders meet in Lake Island where visitors are invited to try out our twisty turvy slides. 3rd-5th graders hang out in The Woods, where the night starts out with dance games on the big screen and 3 Wii stations, charged and ready to go. If a child would prefer to take a discipleship class, we will also offer one discipleship class for each age group. in the summer, we offer VBS – this year we are looking at a family centered model that will allow families to experience a “family camp” on-site. we also offer Kidz Camp – tailored to each age group. This year we are focusing on peace, love and worship. Kidz get to getaway and get up close and personal with the creator. These are the biggies, not to mention other special events we have throughout the year, where you guessed it, we focus on kidz. We have Passport to Missions, an interactive missions experience, we have PJ Parties, basically … we have fun. So… yeah. it’s not childcare. 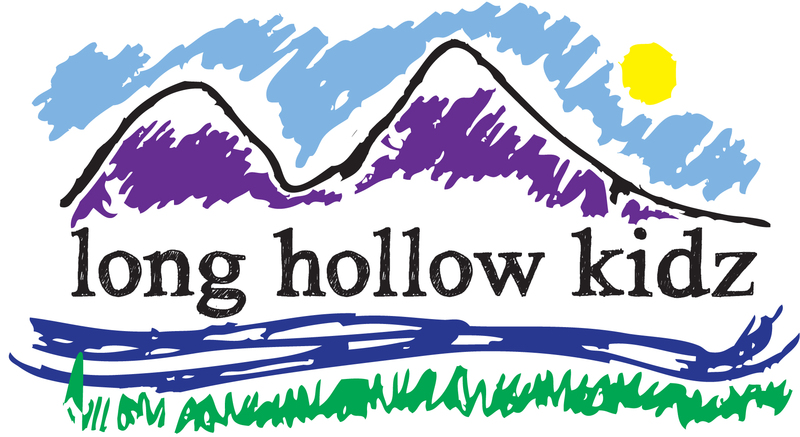 its not your mama’s sunday school… it’s LONG HOLLOW KIDZ … and it rocks! my daughter, kavi, decided to teach herself how to sew today. she was going around the house looking for things that were in need of her repair. 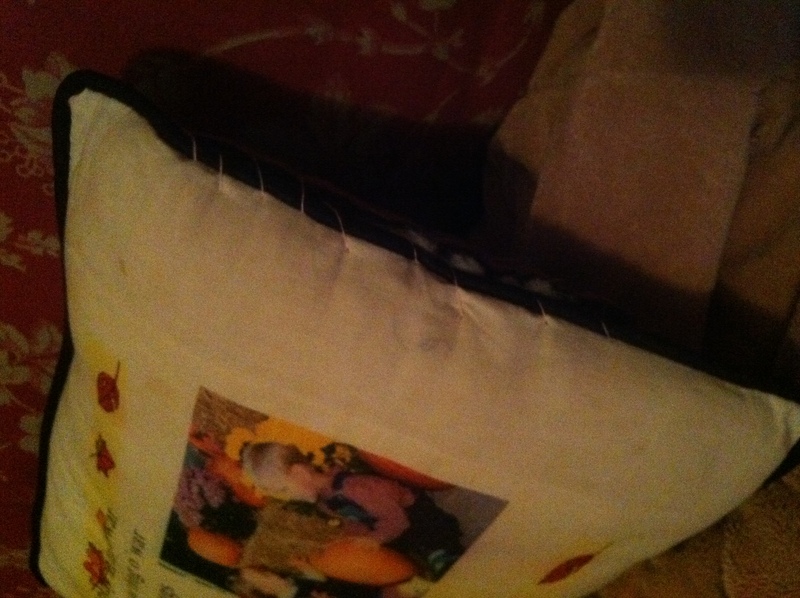 she fixed a pillow that had been bursting with stuffing for at least 6 months. wow. its so nice to have it fixed. here’s the rub. yesterday she asked if i needed her to sew anything for me. i said no, because she has never sewn before and i didn’t want to pause my activity to help her out (btw… i myself am no seamstress. i can sew a straight line with a sewing machine). she clearly had it in her mind since then, that she was going to sew something. earlier today she asked me about some fabric she found and if she could use it. again, i denied her request as i doubted her ability and didn’t want to pause to help. here is what i was thinking at the time: she’s going to stick herself. she’s going to make a mess. she’s going to get into something she can’t finish and i’ll get dragged into a project i’m not up for right now. i’m not proud of this, i’m just telling you what i was thinking. here is the awesome part – in spite of me, she prevailed. she was dead set on sewing something… and now i have a pillow that has been repaired… so proud of her and so excited to see where she takes this latest joy. she even repaired some jeans… i’m sure her dad wont mind the pink thread on the outside seam of his pants, right?! you never know what part of your creative self is going to emerge in a given day. i wrote a script today about being creative… so proud of kavi for showing herself today.